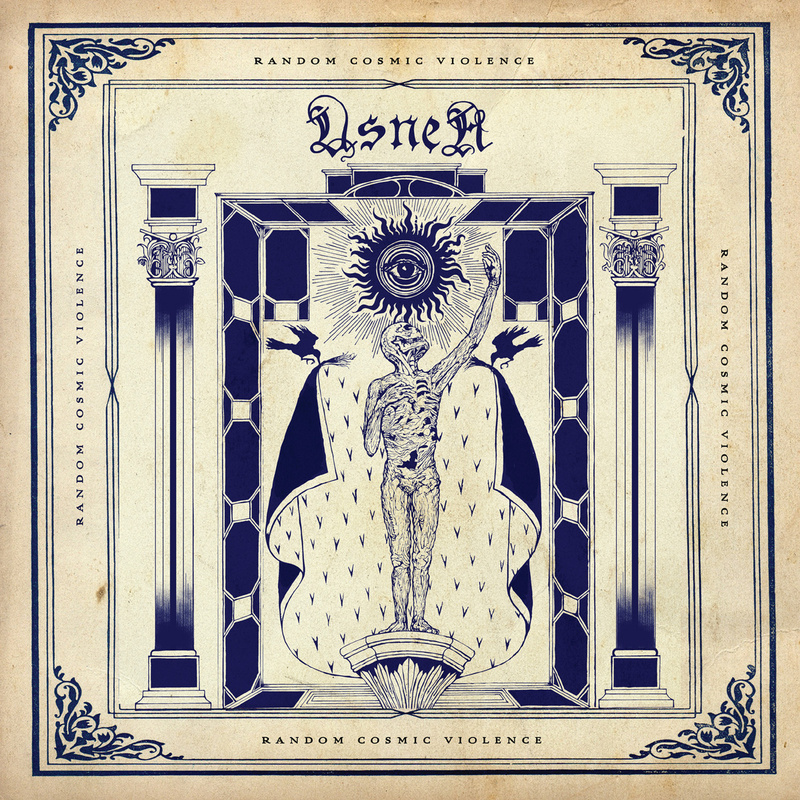 CD Review: Usnea – “Random Cosmic Violence” – Burning Fist! Audio • January 26, 2015 • Burning Fist! Whatever deeper thought and expression behind this album title from the crushing doom act from the US, it does provide a fair description of the shifting epic scope of this latest work. A mere four tracks but best part of an hour’s music so you are definitely strapped in for a sonic journey on this. There’s almost a Hawkwind vibe to start with the scraped echoing guitars before a brooding bass line drifts in as the core to the layered constructions to come. 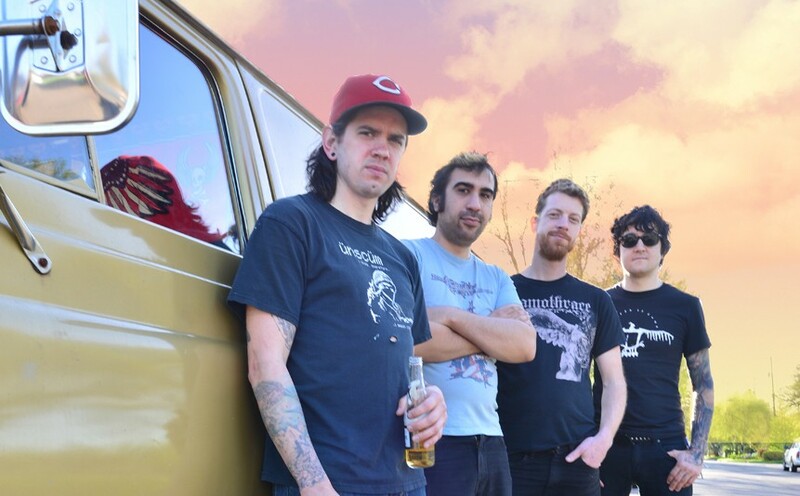 The violence comes with devastating stumbling sludgey riffs that kick in, the reverberation blending with a supremely subterranean vocal tone. This gives it definitive funeral doom qualities, challenging the likes of Ahab for the depths they plumb but then there is a contrast to a harsher shrieked level that is stirring and intense, with sections of almost murmured spoken word. The waves wash in & out with haunting acoustic passages, always with the impending threat of further destruction, even turning up the speed to a thundering blackened ride not far from the faster of Triptykon’s material. Testament to their craft in writing the songs pass quicker than their allotted time, there is an undertow that hooks you along and the clever mix of light/shade, heavy/mellow. It could be easy to tire or lose interest at this sombre trudging pace but instead it is a stimulating emotional roller-coaster that really rises above a lot of a somewhat flooded genre at the moment. Don’t expect happy times though, the only uplift is in the temporary relief in coming up for airier, open phases from the mire of filthy distortion that is the central, heavier than gravity weight of this fine release. Posted in ReviewsTagged Death Doom, death metal, Doom, Mark, metal, Random Cosmic Violence, Relapse Records, Review, UsneaBookmark the permalink.